A flex membership gives you access to our beautiful and inspiring open space. Bring your laptop and enjoy the company of your coworkers. A fixed membership means that you have your own desk in a shared office. Bring your stuff and make yourself at home. Come to have a look and meet our members. We’d be happy to show you around! These are services available also for non-members that you can rent occasionally. Our meeting room fits up to 5 people and is equipped with a whiteboard and a large TV screen. A day pass or a five day coupon is a suitable option if you just need a workspace now and then. Our podcast studio is great for recording interviews, a one to one conversation or voiceovers. Located at Gustav Adolfs Torg, Box Space is one of the most central co-working spaces in Malmö. Working at the very heart of the city you are just a few minutes walk from everything you need. We offer an inspiring and friendly atmosphere for freelancers, entrepreneurs and remote workers. We all have periods of heavy workload. "Overtime" is our initiative to make working after five o’clock more fun. Our member Sofia Englund is running her travel business Travelresearch.se with her family. Get her thoughts and insights from her life as an entrepreneur, Malmö citizen and member at Box Space. 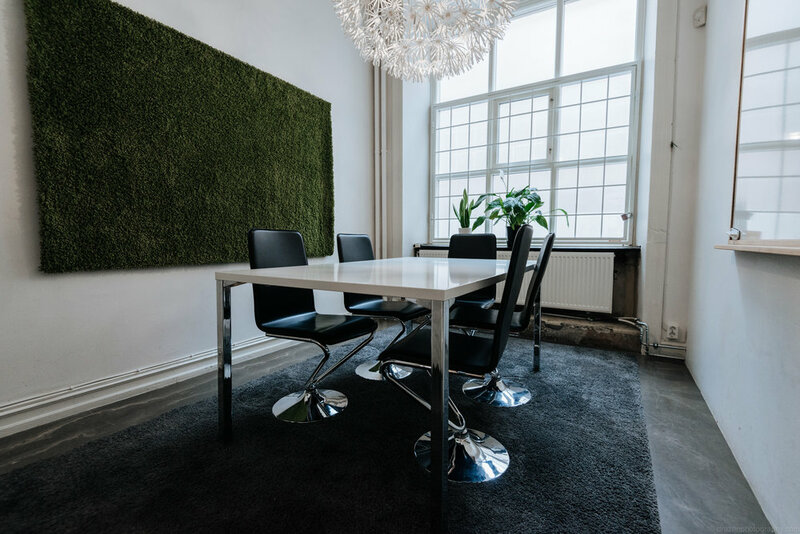 In this blog post our member Philip Bergqvist is sharing his list of favorite places to work from in Malmö. On Saturday September 15th we hosted a photoshoot at Box Space with the photographer Drazen Lovric, a freelance photographer working for Getty Images. As a freelancer or remote worker, you have the freedom to work from wherever you like. This is a guide to help you to find the best option for you and your business. On the 1st of June 2018, we had good reasons to gather our members and friends to celebrate with a big birthday party! In less than a year Box Space has established itself as a friendly, inspiring and international workspace for freelancers, entrepreneurs and remote workers in the very heart of central Malmö. On March 15th we opened our doors in order to let people discover our coworking space at Gustav Adolfs Torg in the very heart of Malmö city during an after-work full of fun and games! Yesterday, we were honored to receive a delegation from IKEA of Sweden on their inspiration trip around Sweden.